Tony ‘The Badger’ Hargraves makes his living as a horse racing and sports trader on Betfair. He’s on the podcast to give you some pointers on how to read the market so that you can get the best available odds more often than not. Dave Duffield: Welcome back to the show, Tony. It’s been a couple years now since we had you on. Tony Hargraves: Yeah, thanks Dave. Good to be back. Still over in the UK doing my thing over here on the sports and racing. Dave Duffield: One of the reasons I wanted to get you on today was basically we always get the common question is when they should be taking odds and it’s not an easy task to have that experience in how to read the markets, so I wanted to cover that with you today. 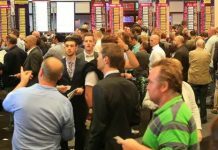 The Betfair market’s very closely monitored by both bookies and punters locally. We wanted to get some indications from you on how to read that market and help guys out on when to bet. Tony Hargraves: Sure. I think that the best way I can help your listeners out is just to explain pretty clearly what it is that I do. 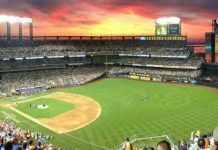 I look at Betfair, I look at the bookmakers and I use trading software, which I find is the key component which is the difference. Some of your people might not have heard of trading software, but it’s all available and connected to the API. There’s several options that you’ve got out there, but what they do that Betfair doesn’t do is you have a ladder view. What you can do is rather than just look at your normal Betfair webpage where you’ve got three prices either side and you don’t really get any information on the page, with trading software you can convert that to a ladder view so you can pretty well see every price from $1 to $1,000. Say you’ve got a horse that’s trading at $3, what you can do when you look at the ladder view is it clearly shows you where the top and bottom of that horse has traded since the market opened. Say I’m looking at a horse, the top of the range might be $3.70, and the bottom of the range might be at $3.00. I can go and look at that and I can see straight away the horse is trading at $3.10 so I know instantly well that’s the lowest that it’s been all day, so it’s at the bottom of the market. I probably don’t want to back that horse at the moment because I’m getting the worst value, it’s the lowest price it’s been all day. Now one of two things is going to happen. That horse will either continue to come down in price, which in that case it means people are backing it, but you’re still probably better off not betting at that point because you’re taking the worst value. 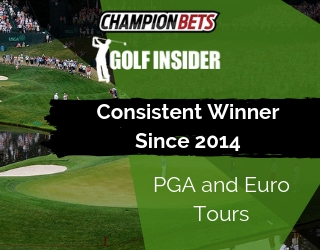 As you know, I’m sure you’ve told your members, betting is all about getting the value. I would find that I’d watch that and if the price rose up to $3.60 or $3.70 I would then back the horse at that price because it’s at the top of where it’s traded all day. It’s unlikely to go any higher and I’m assured of getting the best value. Dave Duffield: For the Australian market, it’s obviously a lot less liquid than the UK, does that make it more difficult to read or can the volatility work in your favour? Tony Hargraves: The volatility is a lot greater than the UK markets and it can work for you as much as it can work against you. Obviously if you get on at the right time and the volatility goes with you, you’ll make good money; but if it goes against you it’s bad. That’s also where this software helps me greatly. I can clearly see that horse that’s trading $3.70 and a bottom range of $3.00, I can clearly see where I want to get in and out. I know that if I back that horse now at $3.00 I’m probably going to lose the trade. If I’m trading; there’s a difference to trading and betting. Just looking at betting for a minute, if I’m just going to back that horse to win, I’ve got to accept right now that I’m taking the worst value. I can clearly see on the software the horse hasn’t traded lower than $3.00 all day, so I’m taking the bottom price that’s been available, whereas if I was able to back it at $3.70 I’m taking the top price that’s been available. If I can take the top price that’s available long-term I’m going to make money, but the bookmakers will follow this. If Betfair’s got the horse at $3.00 you can be assured that the bookies will have it at $2.90. You’ve just got to know that if you then go and take that price you are taking the lowest it’s been. The Australian markets are a lot more volatile, so that could go back up to $3.70 in a couple of minutes, it also could come down to $2.50 pretty fast. That won’t happen on the UK markets because there is a lot more money there. Dave Duffield: So assuming people have some kind of software and I know you strongly encourage that otherwise they’ve got their hands tied behind their back in a way, you’re looking at the ladder and what else comes into your reasoning in a predictive sense for which way the market’s going to go? Some people talk about weight of money indicators and moving averages and things like that; what do you pay attention to and what do you ignore? Tony Hargraves: When I’m looking at the ladder I can have up to six horses open at a time, so I can see simultaneously what six horses are doing. Say you’ve got a favourite at $3.00 and your second favourite is at $6.00. The software’s got what we call matchsticks so every time a bid is matched there’s a matchstick. You get these clear visual indicators that the price is going up or down and you get to see these patterns. If I see that the second favourite is starting to get down, $5.90, $5.80, down to $5.50, because the market has to always be around 100%, or be 101% on Betfair, the favourite has to go back up. If I see a move on a second favourite and I’ve missed it, I’m thinking well I can’t back that now because it’s at the bottom, the favourite has to go back up. I tend to watch these other horses and play them off each other. If two of them are driving down, say the first and third favourite are being backed down, the second favourite has to go up. As soon as I see that move for them going down, I will lay the second favourite and it will go up. What the guys that you’ve got that are just betting and want to get the best price, once they see that and they think well this first and third favourite are getting hammered, if I wait a few seconds I will get a much better price on this second favourite which is the one I want. He’s trading at $6.60 now, but I can see from that move clearly in a minute or two he’ll be trading at $8.00, so I’ll just put my bet in there and take that. That’s the other thing about the software is I can go and put a bet in at $8.00 or $9.00 and just wait for the price to come up, whereas when you’re just looking at the grid it’s a lot harder to do that. You’ve got this one-click betting, you’re getting in faster, you’re getting out faster, and it just really puts your betting onto turbocharge. I highly recommend that they get some sort of software to look at this. Dave Duffield: Yeah, we’ll link out to various software options in the show notes. I use Racing Traders software and I recommend it highly so we’ll link out to a few different options. What about in a race or scenario where let’s say the favourite’s $3.00 and the second favourite’s $5.00, but there’s been a lot more money matched on that second favourite. What does that say to you? I’ve not often see more money on a second favourite than a first, it seems to go the most money is on the favourite. That’s just purely on Betfair because the traders, they’ll go trade the favourite because that’s where the most money is. If I do see a lot of money for a second favourite, I will tend to be looking to lay the favourite at the lower end of its scale, presuming that it’s going to go up, and most of the time it will. Dave Duffield: What about in-play racing? 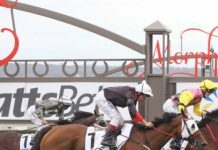 Obviously in-play sports we’ve still got our hands tied behind our back here in Australia which is frustrating for any punter, but do you do anything in-play horse racing either UK or Australia? 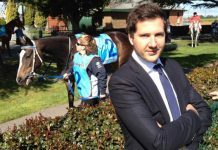 Tony Hargraves: I pretty well trade every horse race in-play now. I’ve called on my experience since I started going to the racetrack at 18 years of age. I’ve got the ability now to be able to read racing. It’s great, it’s not that hard. Once you can read racing it’s quite easy to be able to determine when a horse is beaten. I must be honest though, Dave, Australian racing is far and away better than the UK, far more competitive. You get a lot closer finishes and the racing is generally better. The horses seem to be fitter too, and when I watch Australian racing I just can’t tend to pick too many beaten horses in-play. They all just look so good and they all come to the line together. It’s just … it’s too difficult. Whereas in the UK it’s quite easy for me, especially over the longer races because they’ve got hundreds of jumps races over here each week. Over three or four miles it’s easy for me to see when a horse is beaten, and if you can do that quicker than the next guy then it’s easy enough to lay it and watch the price just rise up a few seconds later. Dave Duffield: It sounds like for in-play racing your focus is laying not backing? Tony Hargraves: Yeah. I like to lay them because then you’ve got the rest of the field on side. If you start to back on in-play you’ve got the rest of the field against you. I also, what I like listening to in Australia is, and I do this a lot for the Australian markets, is I’ll listen pre-race to the commentators on the TV because even if they don’t know anything, they still move the market. If they mention a market mover the sheep will follow them, they will just go and back that horse. As soon as a horse gets mentioned positively on the TV, if you’re quick enough, I’m talking one or two seconds, as soon as you hear it, back the horse. It tends to just come down a couple of points or couple of ticks on Betfair, so it might be $6.00, it might come into $5.80 just on what the guy’s said. It doesn’t mean anything. The ones I really like, Dave, and you used to hear Ken Callander say it a lot was, “I’m not sure if this horse will win, but he’ll be leading at the 200 metre point.” That’s all I need to hear as a trader; I will back that horse pre-race and then you don’t even need to trade it in-play. You can put the bet in before the race starts. 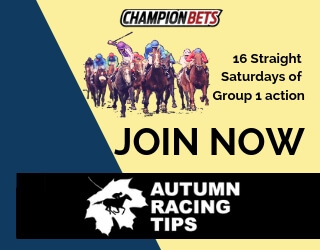 Say you back it at $3.00, you can go and then put a lay bet in at $1.80 and keep it in place with the click of a button and then if Ken was right and that horse is leading at the 200, the horse will have traded at $1.80 or below and you’ve locked in your profit. You can hedge that across all the horses with the software with one click of a button to win no matter which horse wins, which is how I make my living. That’s what I like to do in Australia is listen to what they’re saying and if I can determine which horse will lead into the turn or will be leading at the 200, then that’s very, very easy to make money doing that. 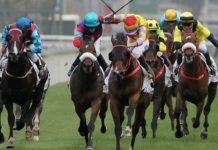 Dave Duffield: So that’s in-play racing but just back to pre-race betting for a moment, what about the way that the bookmakers often blindly follow the Betfair market? I know you’ve heard of people where if they’re laying something on Betfair the bookmakers just follow basically blindly and there’s some of the, I suppose you’d call it market manipulation, can go on. Tony Hargraves: I’ve done it Dave, for a professional trader out in Australia. I was out there in 2011 for a few months and I spent some time with someone showing them exactly how to do this and it was just incredible to watch on a daily basis. He would tell me which horse he wanted to back with the bookmakers, so it was my job to make that horse drift on Betfair just by putting sustained money into lay it. Say the horse was trading quite happily there at $6.00, he’d say to me, “Can you get it up to $10.00?” I would just start laying it and then put more money in front of that. The other people would follow, they’d put money in front of me, and then I’d go in front of them, and we’d rise this horse up to $10.00. At that point he’d be on the phone to the bookmaker, the bookmaker’s now driven it up $9.00, so he’s at 8/1, and then he’ll smash it, bang. He’ll take a big bet with the bookmaker and then he’ll say, “Right, bin it.” Then I would have to back it back down to where it was with sustained money on the other side, I’d just keep backing it, backing it, backing it, get it all the way back down to $6.00 and then he’d quite happily sit there and lay it. He’s effectively just hammered the bookie at $9.00 and we’ve laid it back at Betfair to $6.00. Yeah, that was what we call “arbing” or trading. He can’t lose either way now, he’s basically bought something for $6.00 and sold it for $9.00. Dave Duffield: How well did that work? Tony Hargraves: It worked very well. Nearly every race we picked they would just follow blindly. We could pick any horse out and just start laying it and pushing it up. We’re backing it on the way back down, so all the lay bets I did on the way up were effectively cancelled out by back bets coming back down. We ended up with a neutral position on Betfair, a decent bet on a bookie at $9.00 when the real price should’ve been $6.00, and then just before the race we put in a nice lay bet at $6.00, people have seen it getting hammered from $10.00 down to $6.00 so they go, “Oh look, they’re backing this now,” and they all take our money at $6.00 and that was that. The result of the race then was inconsequential. It didn’t matter which horse, you could pick any horse in any race virtually and the bookies would just follow. If we had it at $8.00 they’d go up to $7.00, if we had it at $12.00 they’d go up to $10.00 or $11.00. Yeah, it’s funny. I’m not sure how they handled the Betfair crash the other day when there was no Betfair for a day or two, I don’t know what the bookies would’ve done. They probably would’ve struggled. Dave Duffield: They definitely struggled. It’s hard to feel sorry for the bookies because if they’re just going to blindly follow the Betfair market then that’s open to, you can call it manipulation or movement, well they’ve only got themselves to blame. Tony Hargraves: Dave it’s a bit like being in a casino. If you go and see someone bet $50 on black and you just follow them in, that’s exactly what the bookmakers are doing, so they deserve no sympathy. Jeez, the day I’d feel sorry for bookmakers is the day I get out of the game. It seems now that they’ve just taken the easy route and, “Oh, well we’ll just follow Betfair and we’ll just do what they do.” The real thing is, and the value here for your members to know is Betfair’s the true market because it’s hundreds of people just like you and I that are putting their opinion against each other, whereas the bookie is just one opinion. Someone at that corporate is making a decision, he’s the trader for that race. That’s one person’s opinion, and if he puts a horse up at $5.00, that’s it. You can either back it or you don’t. With Betfair, if the $5.00 is ridiculous, someone will very quickly offer to lay the horse at $5.10, or $5.20, or $5.50. The market is far, far more accurate than any bookmaker’s price. Yeah, that’s where you get your guide. That brings us back to the question you first asked, how do they find the best value? If you just go and look at the top and bottom price that the horse has been bet on Betfair and that’s going to be your range. It will usually be around, on your average favourite it will probably be from $3.70 down to about $2.70. You won’t get a much wider range than that. Dave Duffield: One other question just to finish up then, on Dynamic Odds there’s a few different options for Betfair columns. One of them is the Betfair weighted average price. What’s a better indicator for, I suppose the price movement that’s to come? Is it the weighted average price, the total volume that’s been matched so far, or the last matched price do you think? Tony Hargraves: I think the last matched price because what we’ve got on the software is what you call weighted money indicators, but they used to be the be all and end all of guiding where a price went. If there was 80% money to lay the horse, people assumed it would drift. That’s now gone by the wayside because of the ladder thing, you can bet money now at $1.01, money can be everywhere on the ladder and distorting that weight of money indicator. I’ve not heard of what you just mentioned, the weighted average price. Can you just explain that to me, how they use that, the Dynamic Odds? Dave Duffield: Not the average price, but it takes into account the volume matched at that price. Tony Hargraves: Okay. Well that would be really handy, that’s something that Betfair doesn’t have and I’m a bit ashamed that I hadn’t heard of it. I’m more of a trader rather than a bettor, so the result of the race doesn’t affect me. I just go in and look at the top and bottom ranges and I try to lay a horse at the bottom of the range or back a horse at the top of the range then I’ll try and get out one or two ticks above and I’ll do that repeat, repeat, repeat. Yeah, if I was just betting, then I would say, I would take that … That could be really handy. I would take that weighted average price of $4.40 and I would look to back it at that price or above on Betfair. I think that if you did that long-term, if you can beat that weighted average price on Betfair then you’re going to make money. I’d have no doubt about it. That’s a great indicator. I’d be looking at Dynamic Odds, seeing that yeah, weighted average price $4.40, I’ll look at the horse on Betfair. If I can get $4.50 or $4.60 then you’re going to win long-term, which is what this is all about. Dave Duffield: Good stuff. All right, we’ll leave it there for today, Badger, Tony; but I’ll make sure it’s not another couple years before we get you back on the show. Tony Hargraves: Yeah, no. It would be good to talk to you, Dave, now you know where I am. Thanks very much for having me and I’ll talk to you soon.